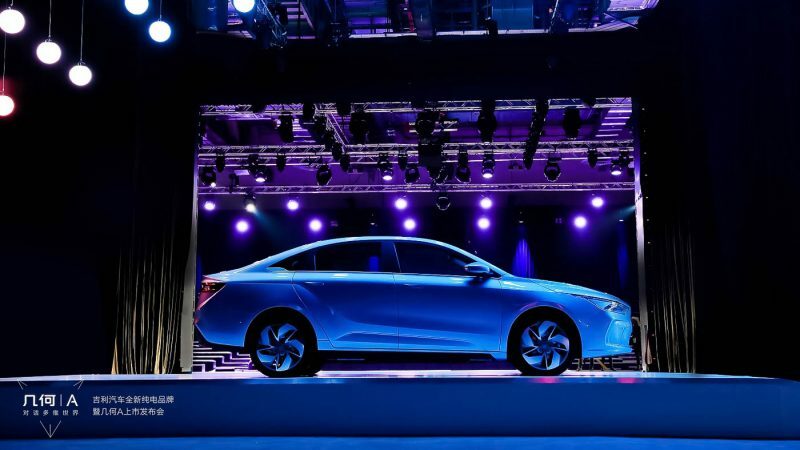 Geely Auto Group has officially launched its first pure electric brand Geometry and its first electric vehicle (EV), the Geometry A in Singapore. 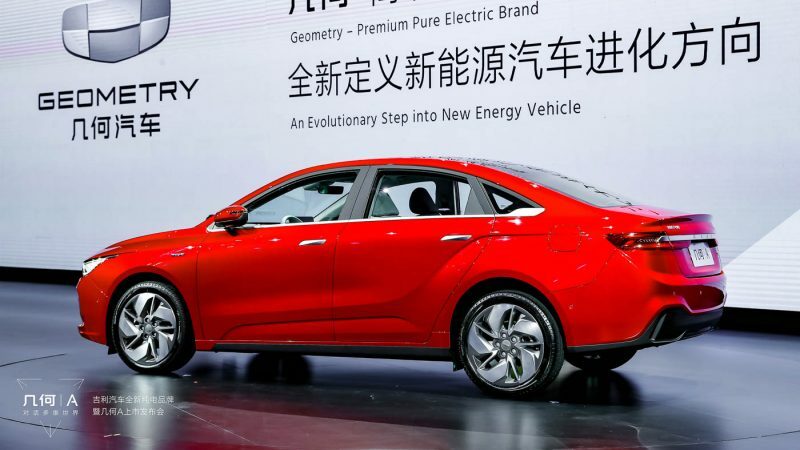 The premium electric sedan and Geometry brand marks Geely’s entry into the growing alternative energy vehicle space. 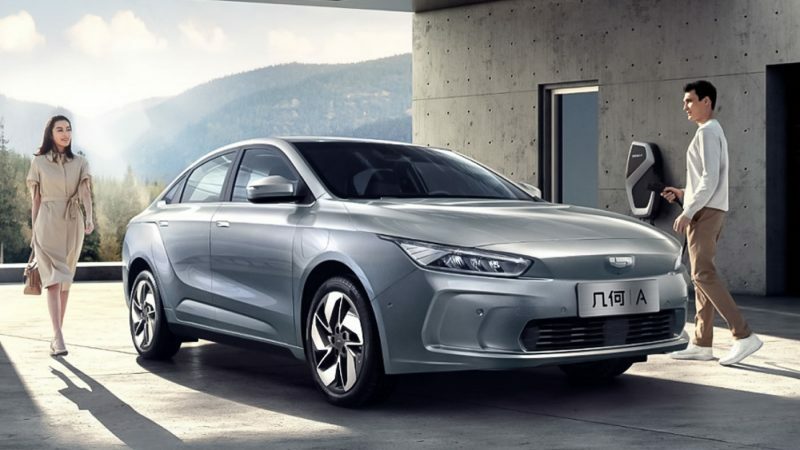 The Geometry A is an all-new vehicle from the Geely Auto Group, using a second-generation electric vehicle architecture. 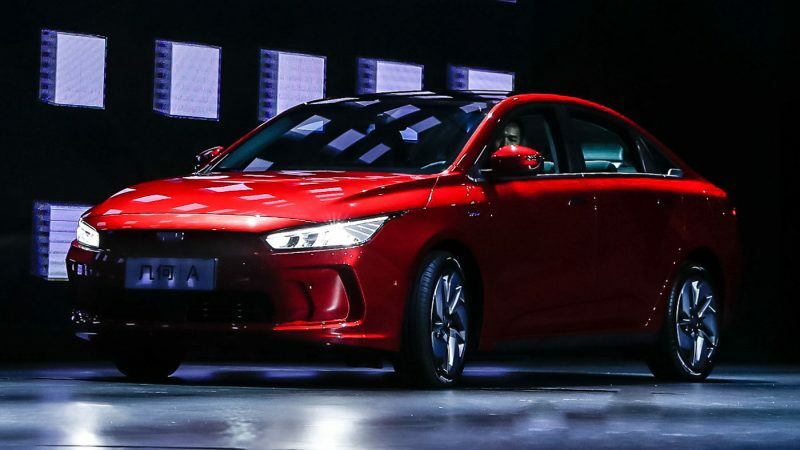 It measures 4,736 mm in length, 1,804 mm in width, 1,503 mm in height with a wheelbase of 2,700 mm – think Honda Civic size. 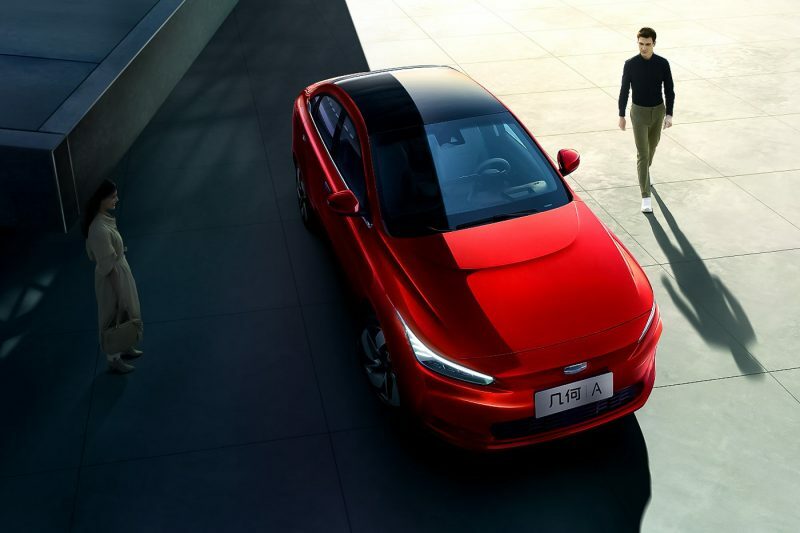 It tips the scale at 1,650 kg which is comparable to the Tesla Model 3. 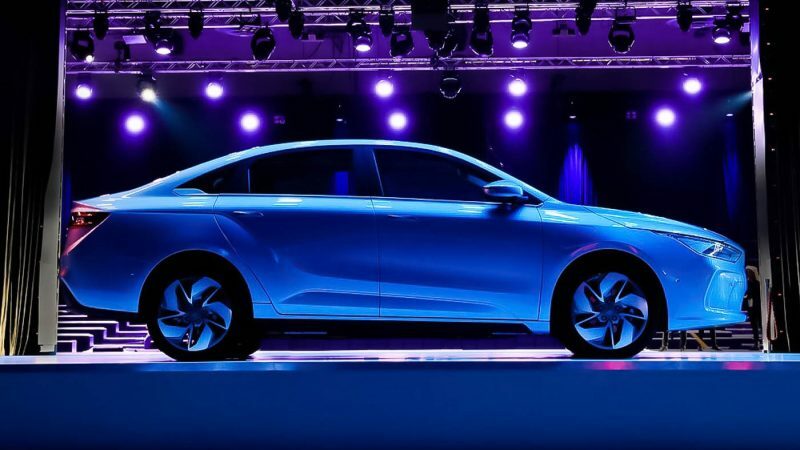 Its design may not be everyone’s cup of tea, but this is the final look that 5 Geely Global Design studios have put together. 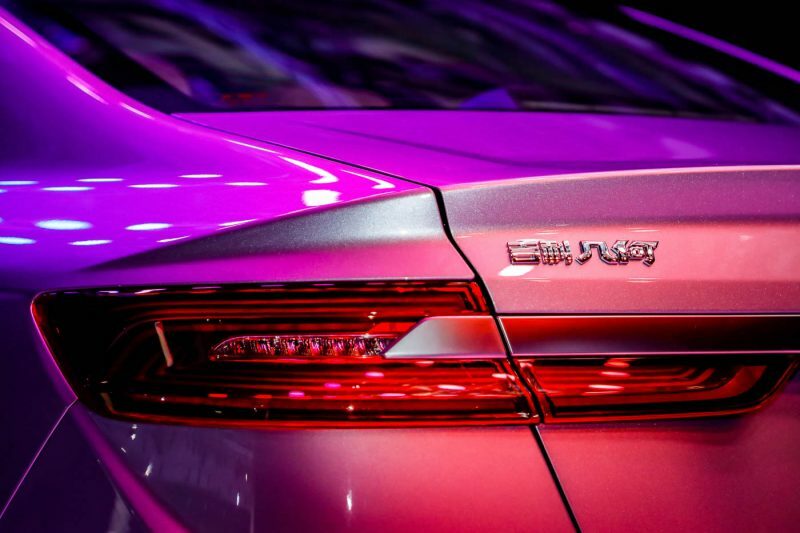 Unlike Lynk & Co vehicles which spots a quirky design language, the Geometry A takes function over form to the extreme. 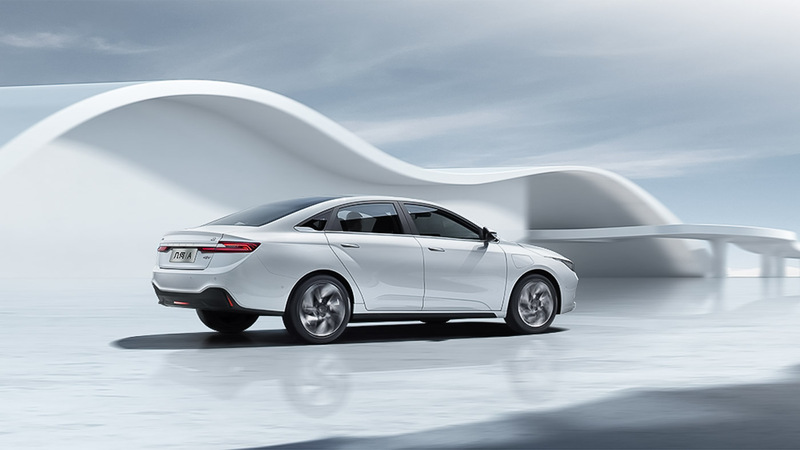 Every element of the car from the creases, body lines and sealed edges are there to make the Geometry A as aerodynamic as possible, resulting in a best-in-class drag coefficient of 0.237 Cd. 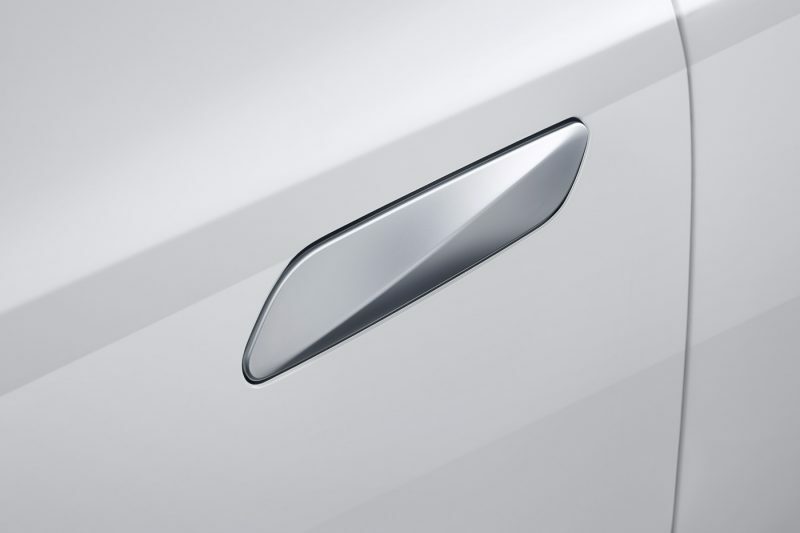 Take the pop-out door handles for example, on the move, the flush position smoothens the airflow around the body giving the Geometry A additional 10 km of driving range. 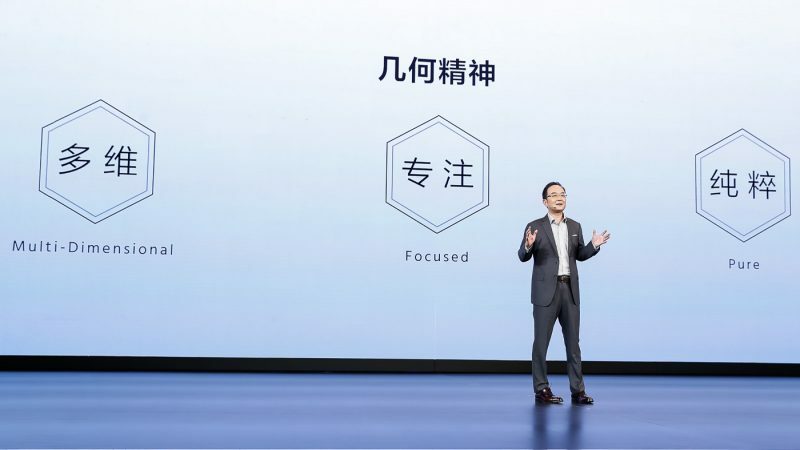 There are little cues linking the Geometry brand back to Geely such as the silver logo (Geely logo spots a black and blue finish), GEELY lettering across the rear tailgate and the “吉利几何” (Geely Ji He) badging. 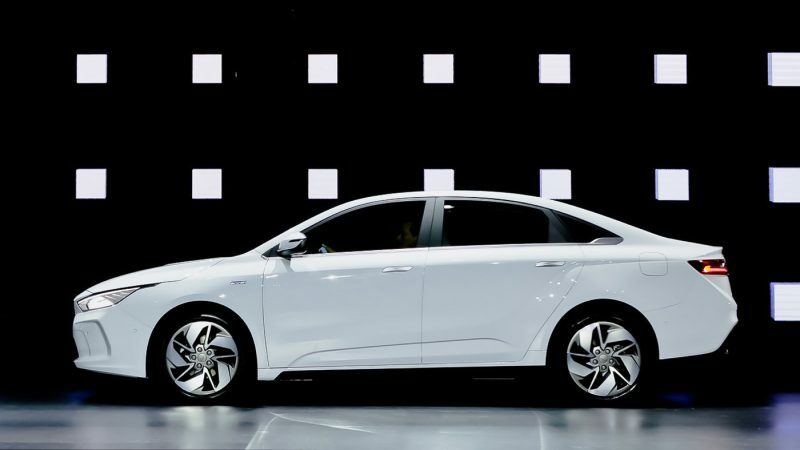 The doors open up to a minimalistic cabin furnished with all the latest technologies available from the Geely Auto Group. How minimalistic? 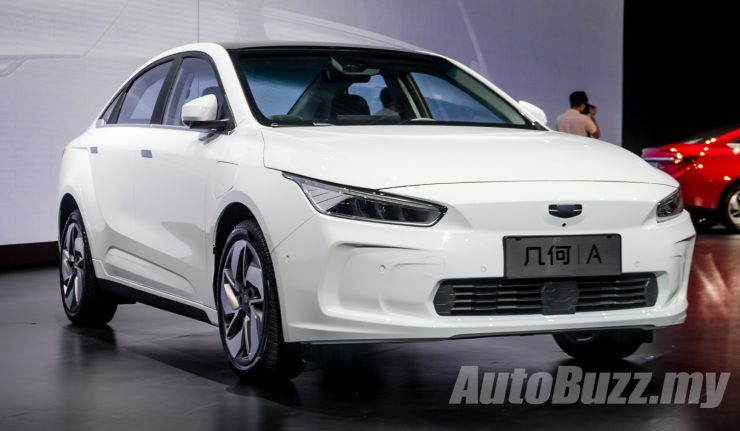 For starters you get a tiny 4.2-inch display as the instrument cluster which displays only the essential info – range, battery charge while everything else is projected onto the 8.0-inch full coloured W-HUD. 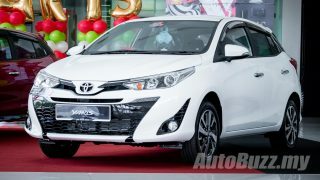 There are only three physical switches on the centre console for the power button, electronic parking brake and self-parking system. 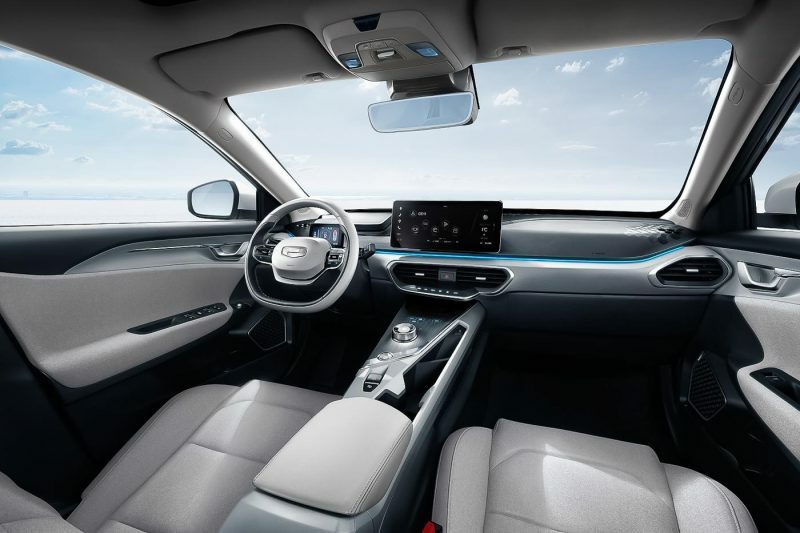 Climate control, multimedia and drive systems are all controlled by touch-sensitive surfaces to create a seamless and uncluttered cabin. 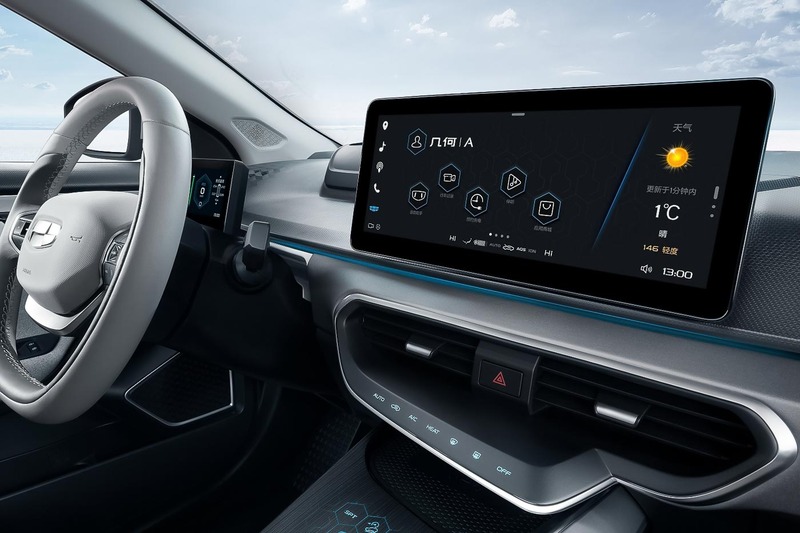 All the cars main functions are linked to the 12.3-inch touchscreen system with AI voice command interaction, 4G connectivity, online navigation and more. 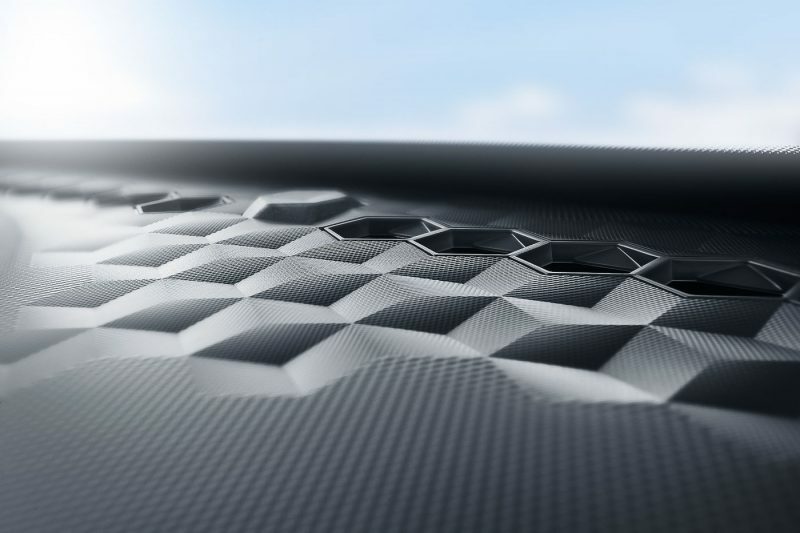 Other features you can find in the Geometry A include EU-certified baby skin-safe recycled fabric upholstery, panoramic sunroof, 7-colour ambient lighting, powered glove box with password-safe security and ION Air-Purlify System. There are two range versions of the Geometry A available – Standard and Long Range. 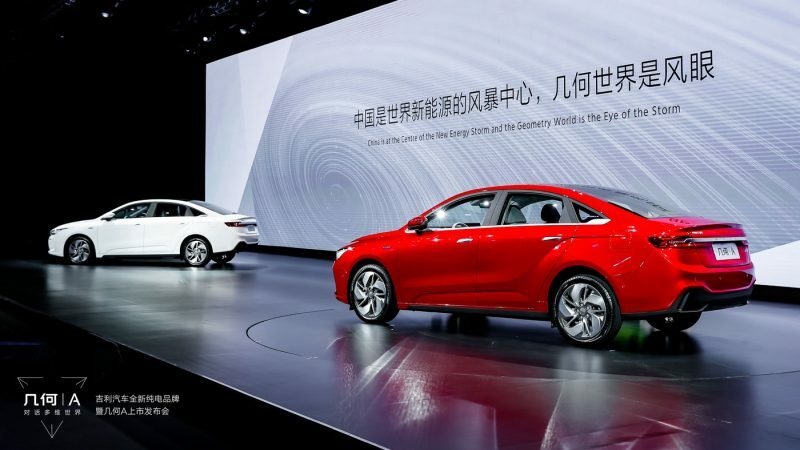 The former features a 51.9-kWh lithium-ion battery pack giving 410 km of driving range (European NEDC cycle). 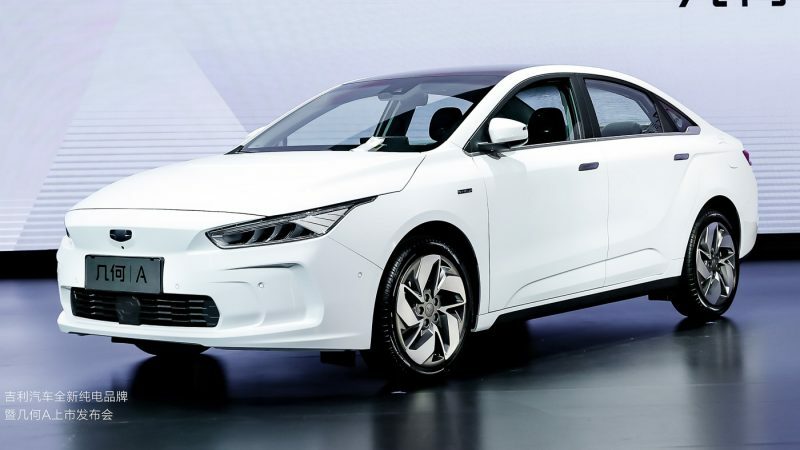 The Long Range version gets a larger 61.9-kWh battery pack with 500 km of zero local emission driving range. 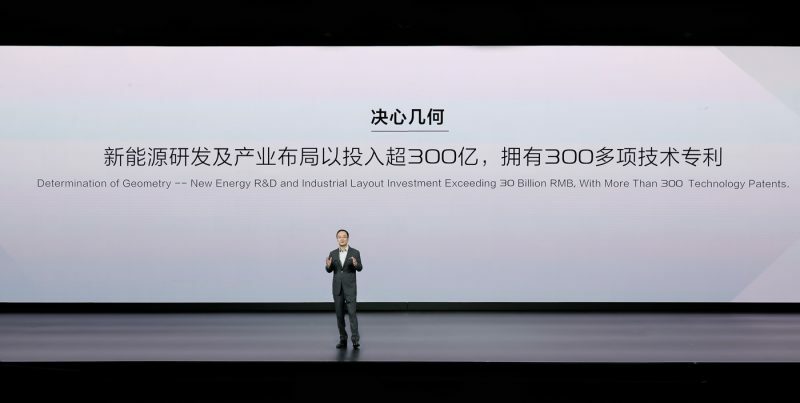 Both versions are DC fast charging compatible, able to recharge from 30% to 80% in 30 minutes when plugged into a 60kW fast charging station. A normal charging pile takes 8 and 11 hours to fully charge the Standard & Long Range batteries, respectively. 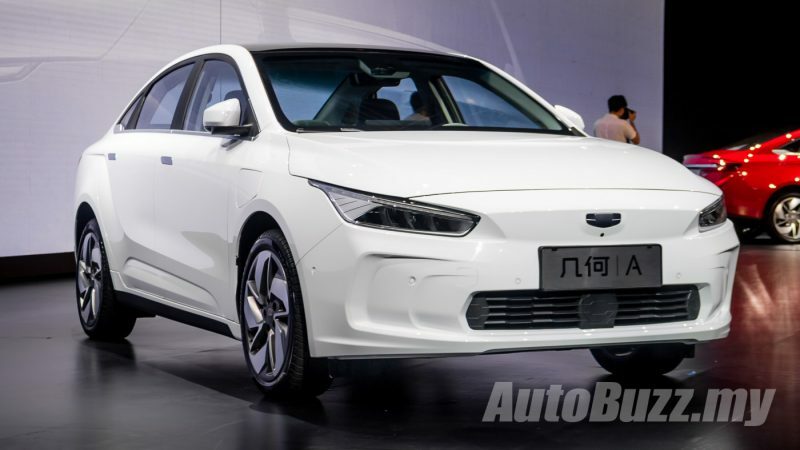 The battery also has an Intelligent Temperature Control System (ITCS) which conditions the battery pack to its optimum operating temperature in extreme conditions, prolonging the battery life and maintain its performance. 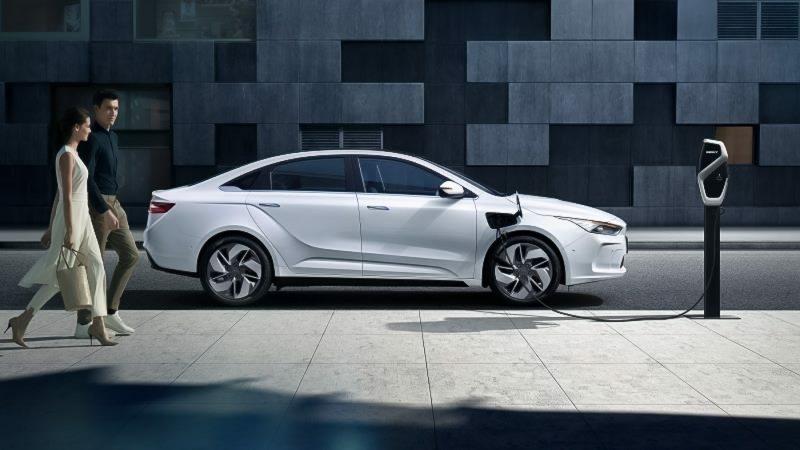 Regardless of battery capacity choice, the electric motor packs 120 kW (163 hp) and 250 Nm of torque allowing the Geometry A to sprint from 0 to 100 km/h in 8.8 seconds with a limited top speed of 150 km/h. 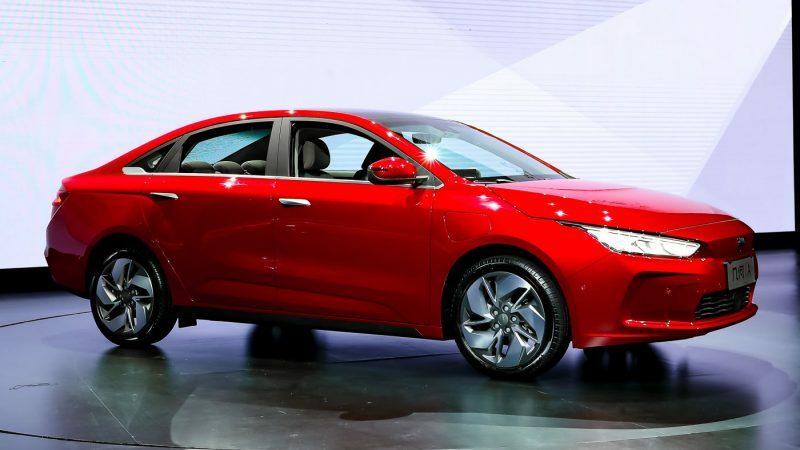 Not quite up to the Model 3s performance, but Geely says this offers the best balance between driving dynamics, range and vehicle longevity. 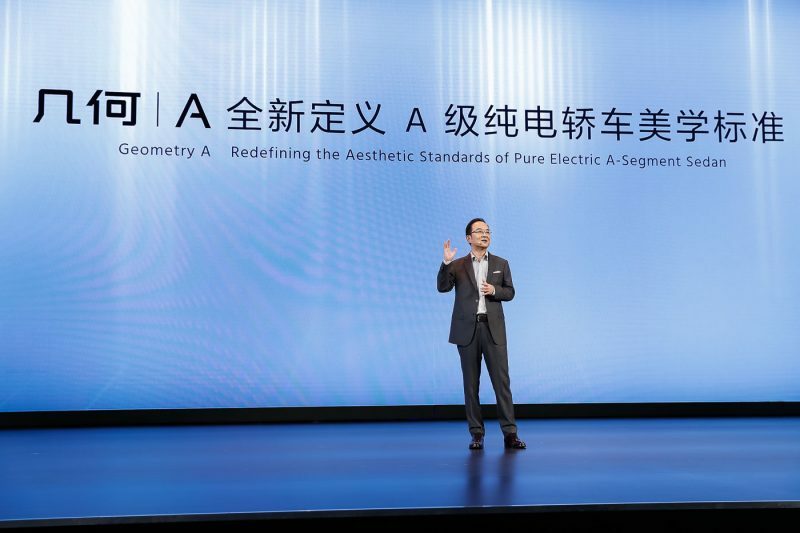 Safety is core to the Geometry brand as well as Geely Auto Group hence the Geometry A is complete with Level 2 semi-autonomous driving capability. 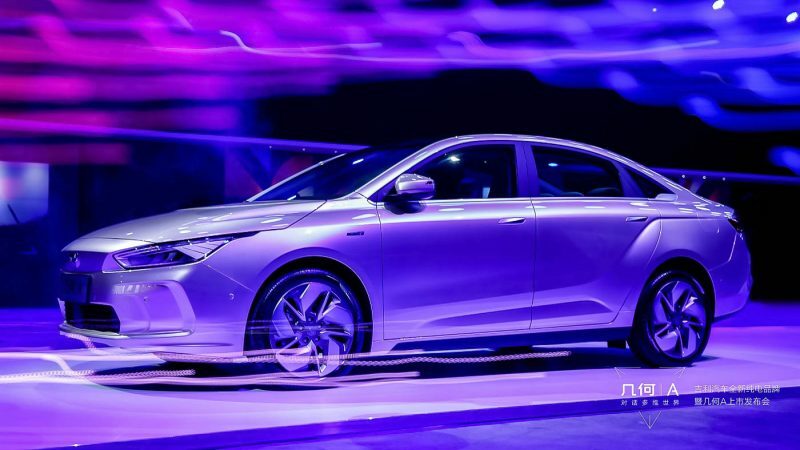 Using 3 Millimetre Wave Radars, 6 Cameras and 12 Ultrasonic Radars, the electric sedan is able to follow the vehicle in front and keep itself in lane at its maximum velocity of 150 km/h. 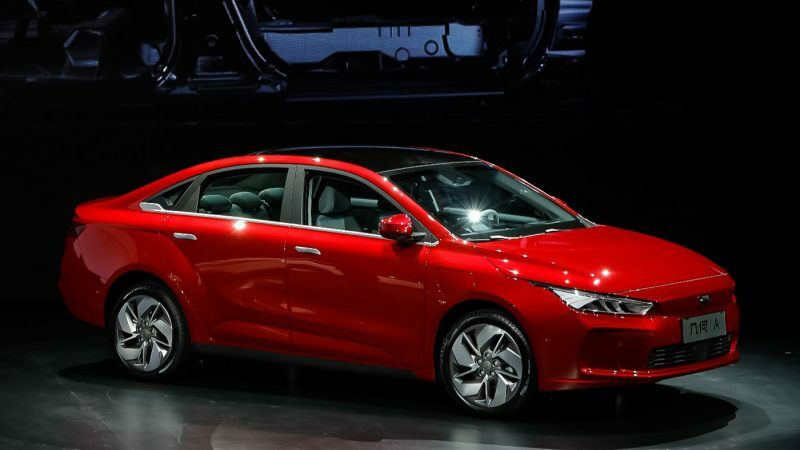 Autonomous Emergency Braking with Pedestrian Recognition, Lane Keep Assist, Blind Spot Detection, Lane Change Assist, full-speed Adaptive Cruise Control with Stop and Go are not luxury features here, but rather the expected standardequipment for all Geometry vehicles. 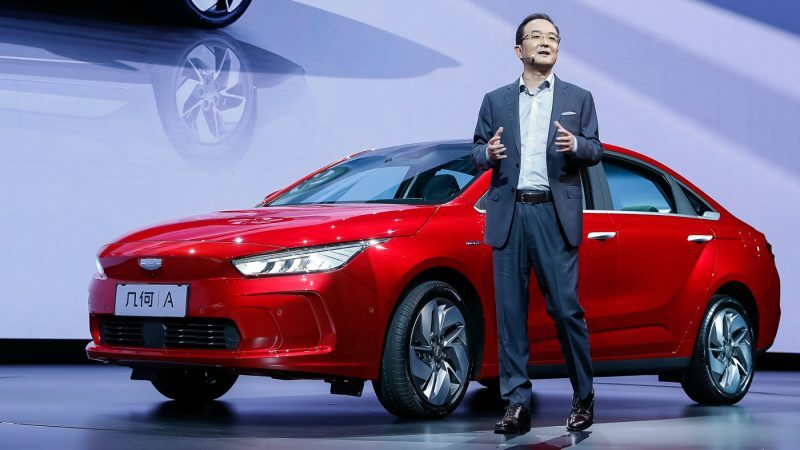 On top of that, it even comes with first in class Rear Collision Warning where the radars detect an imminent collision from the rear and flashes the hazard lights to prompt the driver behind to slow down. 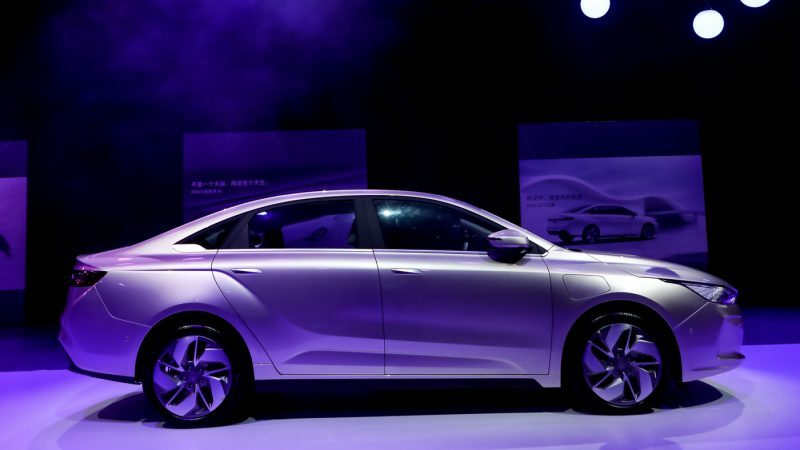 There will be three trim levels of the Geometry A available for both the Standard and Long Range versions. 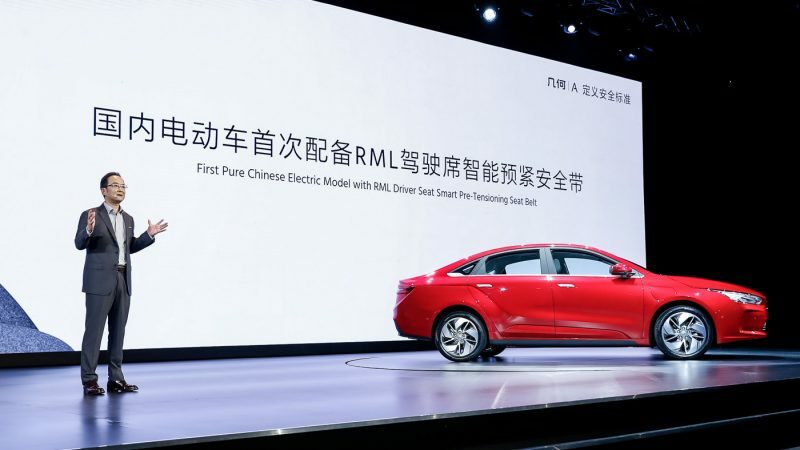 The Standard Range is priced from RMB150k to RMB170k (RM92k to RM104k) while the Long Range is priced from RMB170k to RMB190k (RM104k to RM116k) after Government subsidies in China. 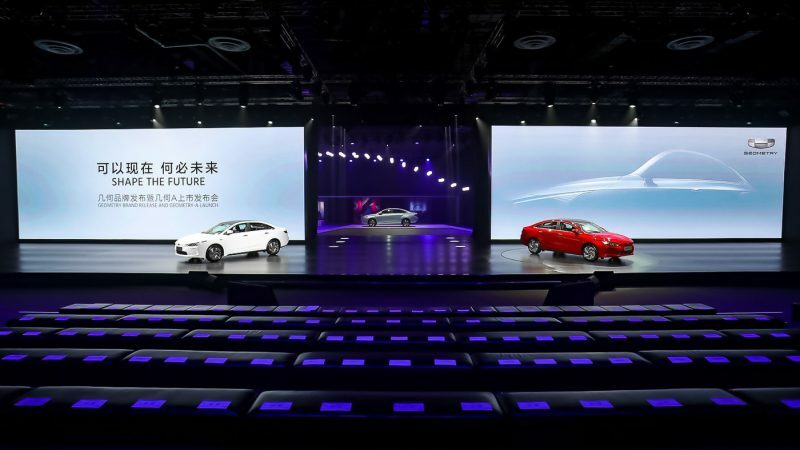 As a reference, the Tesla Model 3 is priced between RMB407k to RMB516k (RM250k to RM316k). Yikes. 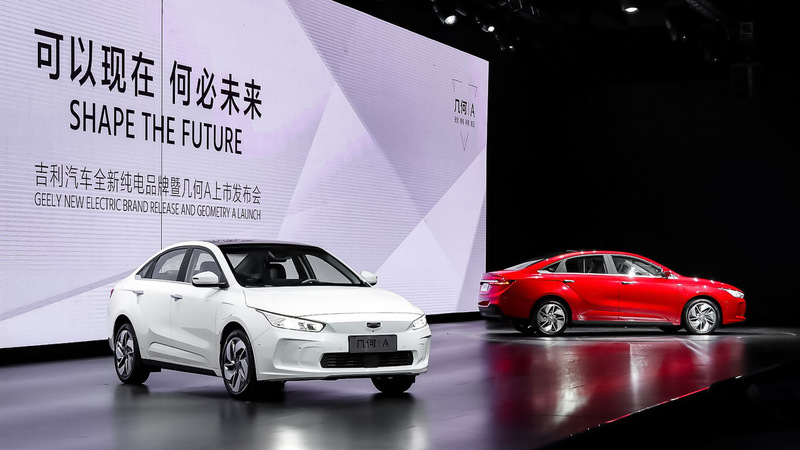 The Geometry will be a global brand to be sold outside of China and have identified key overseas markets that are ready to distribute their vehicles. 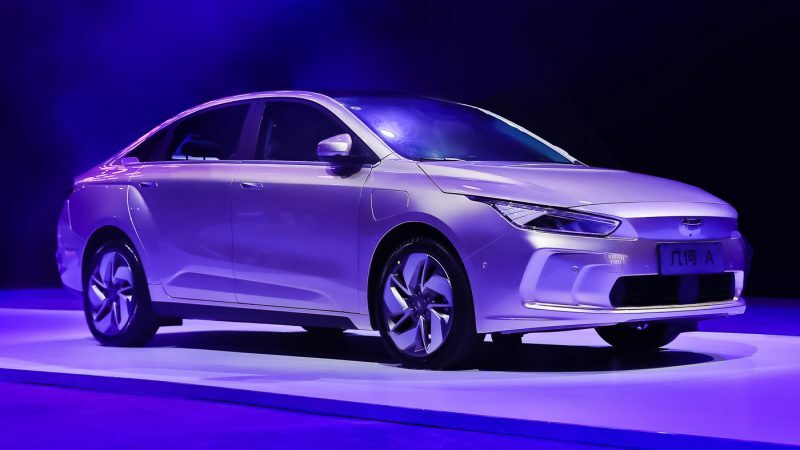 To date, Geometry has received over 27,000 orders for their first electric sedan, 18,000 of which are from overseas customers from Singapore, Norway, France and Argentina while the remaining orders are from their home market.